This lovely condo in the Carriage House at Heron Pond has just been refreshed with new flooring, paint, and appliances. It's ready for you to make it your home. Terrific floor plan with screened porch entry, big bright living room, dining area, and two decks. Stackable laundry in unit. Enjoy the beautiful grounds with trails and pond. 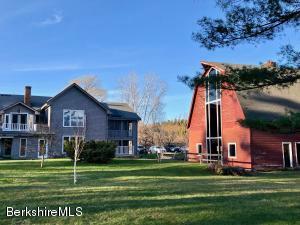 Located between Stockbridge and Lenox, you'll love the convenience to the best of the Berkshires. 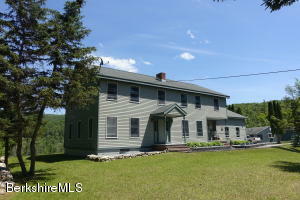 Home located in a gorgeous setting and with view across the road to the small lake in front and to a pond, woods and mountains to the rear; huge deck facing the mountains; spacious 1986 12 room 6 bedroom colonial style home of 3,400 SF includes a finished basement rec room with hot tub; a remarkable spring that yields 40-50 gallons/min. WATERFRONT RENOVATED LAKE CABIN + STUNNING VIEWS ON GOOSE POND This is a rare opportunity possible only as the owners are relocating to Europe. 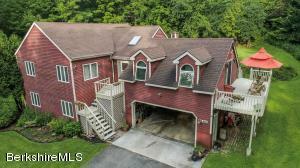 Relax on one of 2 decks, take in the views from the open plan 1st flr overlooking the blue waters & the mountains beyond that the Appalachian Trail crosses over. 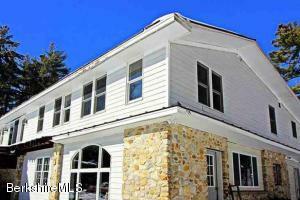 There's a beautifully renovated kitchen, a dining area with a 2nd sitting area that has lg. 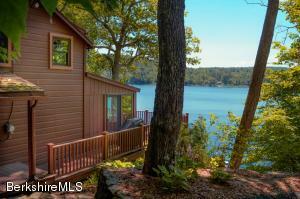 picture windows offering spectacular views, and a living room area with classic stone fireplace. 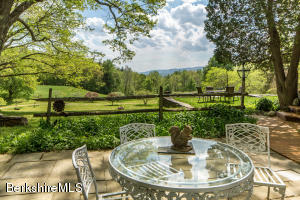 Upstairs are 21/2 bedrooms and each morning you will wake up to astonishing views from all 3.The 1.3 ac, parcel with an ideal spot for a writer's/artist's studio has a new septic system. Currently a 3-season home but year round in all likelihood is possible. 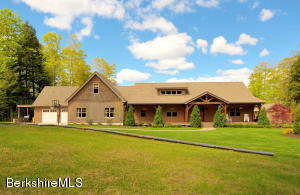 Seize this opportunity on Goose Pond! Shaw Pond Camp across the road from beautiful Shaw Pond, beach, swimming and boating. 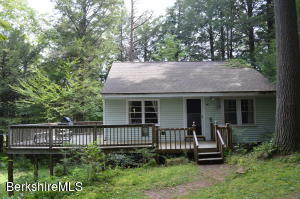 Cottage sits on about 1 acre in the woods with a large porch.Up-dating will need to be done in bath and Kitchen . Passing septic system.roof was new in 2007. 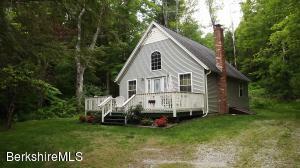 Very charming with a small brook and little bridge at the bottom of property. 325.00 a year road/plowing and beach fee's as well as a fun club house to use. A Fun Place to own in the Berkshire .